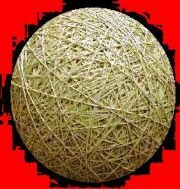 This Compares My Rubber Band Balls Weight Compared To The World Record 2,008 Pounds! 7% So Far, Still Got A Lot A Head Of Me To Go!!!! I Maybe Pretty Far Away But I Am Determined To Break The Record! As You Would Think I Would Be Leading The Compettion With A 140 Pound Rubber Band Ball! Surprising I'm Not Only Ones In The Race Towards The Record, But I'm Up There Pretty High!!! Being The Bigest In Ohio!